What Activity Tracking Technology Is Used in Fitness App Development? The fitness apps and wearable fitness devices markets are evolving rapidly. Fitness devices enjoy strong growth alongside smartphones and tablets whose activity tracking capabilities improve year over year. Wristbands and armbands, chest straps, clip-ons, smartwatches, and even more unexpected things like a bra with a heart rate monitor or socks with built-in pressure sensors can track everything from running to foot-landing habits to eating speed. The fitness activity monitoring spree started a few years ago when brands like Fitbit, Jawbone, and Nike entered the healthcare and fitness market with their activity tracking devices. They were soon followed by Samsung, LG, Pebble and other companies that included activity tracking features in their wearable devices. But it wasn’t until the release of Apple Watch that the interest in wearable technology really took off. All the same, even though the highly-anticipated device from Apple got off to a roaring start, it hasn’t overthrown FitBit. In fact, fitness trackers still outsell smartwatches, and that is unlikely to change soon. 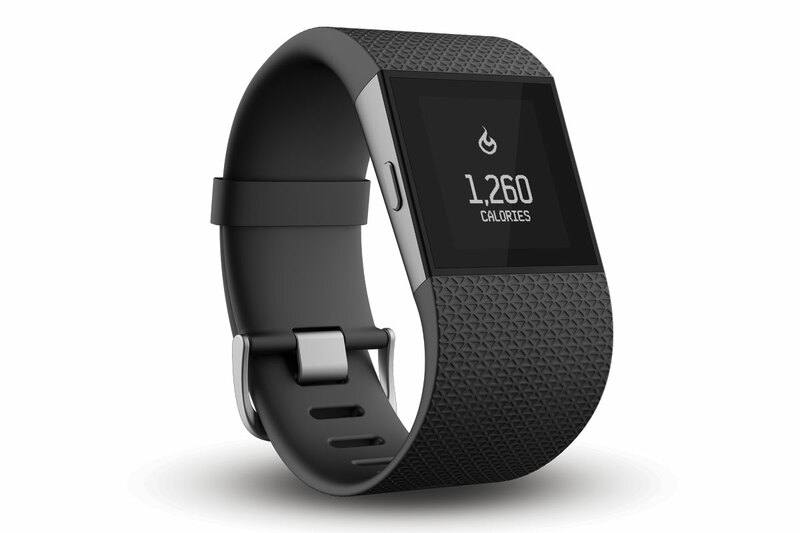 According to recent predictions, as many as 245 million activity and fitness trackers will be sold in 2019 - three times the number of devices that will have been sold by the end of 2015. The overall wearable market is expected to be worth $14,5 billion by 2021. Some may argue: why would you need a wearable device if you can track your fitness activities using a smartphone? But as it turns out, smartphones can’t effectively motivate users to lead a more active life, presumably because they are too multifunctional. Buying a wristband or a sport watch, on the other hand, suggests a deliberate intent to track fitness activity. It is crucial for a fitness app to be compatible with as many wearable devices as possible. Even major wearable manufacturers make their apps compatible with competing fitness trackers. The same goes for mobile apps dominating the health and fitness market. Strava, Endomondo, RunKeeper, and MapMyFitness can all handle data from most tracking devices. Jawbone UP is an open source platform that provides a set of APIs and SDKs for building health and fitness apps, as well as connecting hardware products to the platform. Garmin provides tools for building apps for Garmin wearable devices. The Fitbit SDK allows developers to interact with Fitbit data in their own apps. Microsoft Band SDK gives developers access to the sensors available on the Band. Withings will provide access to their API if you register as a Withings developer. Smartwatch and sport watch distributors (i.e. TomTom) also provide tools for extensibility of their products. Google and Apple are aimed at building an ecosystem with their Google Fit and HealthKit, which act as hubs for consolidating data from any activity tracker and health and fitness application. Apple and Google also provide SDKs for wearables. There is WatchKit for Apple Watch and Android Wear for smartwatches running Android. Read also: How Can HealthKit and Google Fit Help You Develop Health and Fitness Apps? Activity tracking devices including smartphones rely on various sensors that transmit health data to mobile apps. Why don’t we take a look at these sensors? All modern wearables and smartphones are stacked with motion trackers or accelerometers, gyroscopes, and compasses. A gyroscope is a device that uses Earth’s gravity to help determine the orientation of an object in space; a compass determines cardinal direction, and an accelerometer is designed to measure acceleration. Motion trackers are used to measure walking, running, cycling and swimming activities. With the data collected, smartwatches and apps can calculate speed, cadence, distance traveled, and number of calories burnt. Wristbands and smartwatches can also track sleep using accelerometers. Accelerometers, gyroscopes, and compasses can be three separate pieces of hardware, or they can be consolidated in a joint motion sensor. InvenSense, for example, offers a variety of such hardware solutions. Apple is currently building joint motion tracking coprocessors into their smartphones. iPhone 5s has an M7 chip that combines an accelerometer, a gyroscope, and a compass. The latest iPhone 6s carries an M9 coprocessor integrated into the phone’s A9 CPU. The global positioning system receiver embedded in a fitness tracker is a valuable feature for runners, cyclists, and hikers. All prominent running-centered fitness apps like Runtastic, RunKeeper, and Strava have effectively adopted this technology. GPS uses 30-some satellites orbiting the Earth to make it possible for users to map their routes, know their exact position, and measure movement speed. 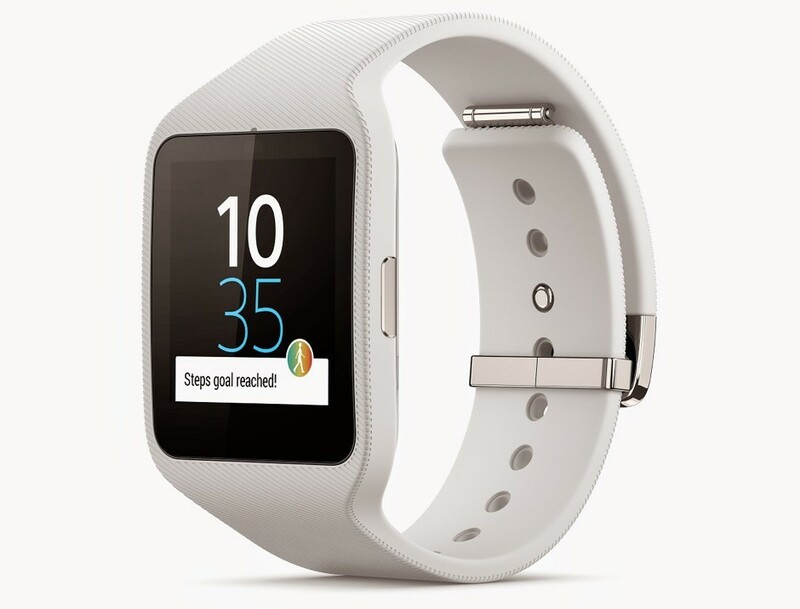 Most smartwatches and fitness wristbands don’t have native GPS, exceptions being the Sony SmartWatch 3, Microsoft Band series and HTC Grip. A barometric altimeter is a more reliable and precise alternative for object elevation and altitude tracking than GPS. It tracks altitude based on the measurement of atmospheric pressure and collects the data on elevation while on a track or climbing stairs. Garmin’s Forerunner devices such as the fēnix 2 and fēnix 3 bundle altimeter, barometer and compass (so called ABC) with GPS to give users more precise information about their movement. The latest iPhones have barometers and altimeters too. The WeatherRun app, for example, applies the iPhone’s new hardware in all possible ways: it tracks elevation while running and shows current weather stats. Even though there are some chest straps that use ECG sensors to measure heart rate (Polar H10, for example), the majority of today’s activity trackers rely on optical sensors. Optical heart rate monitors use LED sensors to track changes in blood saturation by passing light through skin in specific places: on the wrist, finger, biceps, forehead, or ear, for example. As a result, heart rate monitors obtain a photoplethysmogram (PPG) which allows the monitor’s processor to determine heart rate and cardiac cycle. Most activity trackers that have optical heart rate monitors measure pulse with LED beams at a wavelength of 525-535 nanometers (green light). However, not all of them work this way. 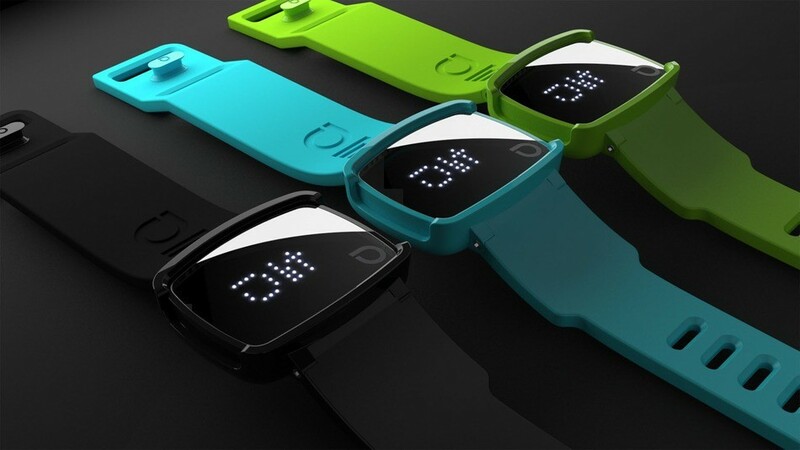 The Withings Pulse Ox, for example, uses a pulse oximetry method to measure heart rate. It requires two LEDs – red (660nm) and infrared (940nm) – to calculate the difference between the amounts of oxygenated and deoxygenated hemoglobin based on changes in light absorption. Heart rate monitors can be divided into active and resting. Devices like Mio Fuse, for example, track heart rate only when a user is working out. The tracker is designed specifically for heart rate training, but most tracking devices gather heart rate information regularly, at consistent intervals. Heart rate monitors allow users to control a so-called heart rate target zone, which is optimal for training heart rate. Working out within heart rate zones is the best way to get the most out of your training time. In fact, heart rate can be measured without any dedicated, additional sensors. The Runtastic Heart Rate app, for example, measures heart rate using a smartphone’s camera. Users just have to put the pad of their index finger against the main camera and turn on the flash. Read also: What HIPAA requirements apply to medical app development? If users want to know how much they perspire and how their temperature changes during fitness activities, advanced trackers like Microsoft Band, Basis Peak, and Empatica E4 can provide this information. Galvanic skin response (aka electrodermal activity) monitors allow users to measure stress levels and help them get more accurate data on their heart rate. Bioimpedance measures the resistance of body tissue to small amounts of electric current to enable the capture of a wide range of physiological signals including heart rate, respiration rate, and galvanic skin response. Bioimpedance requires significantly less power compared to optical sensors for the same level of accuracy, and is used by high-end activity trackers such as the Jawbone UP3 and UP4 wristbands. These sensors detect and constantly measure the amount of light in their environment. Their perception of brightness matches the requirements of the human eye. The goal of such sensors is to automatically adjust the brightness of a display, thereby reducing eye strain. Ambient light sensors are widely used in modern smartphones including iPhones and the latest Samsung Galaxy phones. Apart from smartphones, these devices are also used in wearables. The Runtastic Orbit wristband, for example, uses an ambient light sensor to count the time a user spends in the sunlight. What does fitness tracking technology still lack? Despite the wide variety of data that fitness trackers can measure and collect, very few devices provide interpretive analytics that can actually make people’s lives better. Successful fitness apps should be focused on the integration and analysis of data, and on providing actionable feedback. Data accuracy, security, and motivation are among the essential concerns that health and fitness app developers still have to solve. In 2014, Iowa State University researchers tested how accurate wearables are when it comes to tracking calories. According to their test results, all devices involved in the research performed inaccurately. The Bodymedia FIT armband (acquired by Jawbone) showed the best results with an error of about 9 percent. Even the most expensive motion trackers perform the same way as lower quality devices. According to the ISU researchers, a $25 pedometer counts steps with the same precision as an average FitBit tracker. Another study showed that activity tracking wearables and smartphones have an average error rate of around 20 percent. Poor password protection – some apps transmit their password data with no encryption. Vulnerable location tracking especially on the devices that use Bluetooth LE. Fitness trackers don’t do miracles. The fact that you’re wearing them doesn’t make you healthier. That’s why it’s important to include some features to your fitness app that can motivate people to lead a healthy life. Some fitness apps, however, use social and game elements to motivate their users (see Strava, Fitocracy, Zombies, Run!, and Pact). The activity tracking wearables and health and fitness apps markets offer great opportunities for developers who want to encourage and assist people with living healthy lifestyles.